Two years after commissioning, the impact of the machines is yet to be felt on the waterways. As a regular user of Ikorodu to CMS route, the experience has remained unpalatable as water hyacinth has taken over the water ways which has made navigation difficult for boat drivers as they have to meander their ways through these natural weeds. 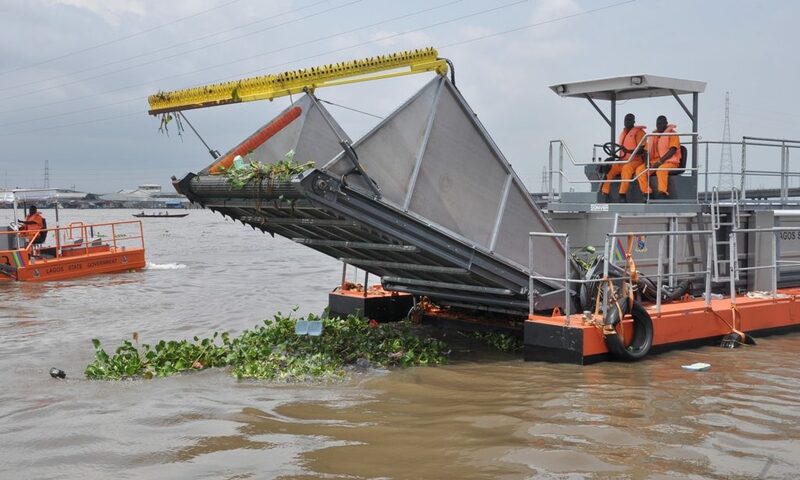 The inability of LASWA to clear the water hyacinth and debris occasionally has reduced the effectiveness of water transportation. This is dangerous to the sector. And it is rather sad that LASWA officials who are meant to be professionals have chosen to ignore the situation. These hyacinths have the capacity to become 2cm thick and is capable of upturning any boat that accidentally runs into it. It is important for LASWA to see this as an emergency and should take the necessary steps of clearing the debris from the waterway. Boat accidents in Lagos is becoming the norm due to the government’s inability to keep rid the waterways free of debris and water hyacinth. It is also important to state that more than three thousand individuals travel on water from the several ferry terminals in Ikorodu on a daily basis. This figure excludes users from Badagry, Ajah, Lekki, and Ebute Metta among others. The lives of these Lagosians must not be put at risk for choosing to use a transportation system approved by the state government. Lagos waterways can have an accident free year if the necessary things are put in place. Currently, there is no indication that the state has a water ambulance that can be used to rescue boat accident victims neither is there a provision for surveillance of the waterways. As a regular user of this mode of transportation, it is faster and more convenient than road transportation. But the government needs to make it safer for users.